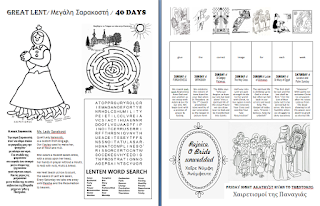 Download these two curriculum worksheets here for your students to learn more about Great Lent in the Orthodox Christian Church. 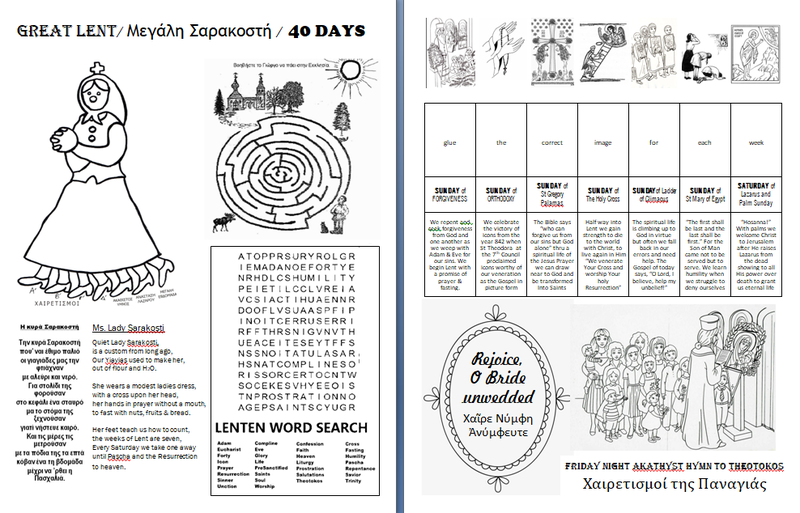 The graphics in this lesson include Lady Sarakosti with her poem in Greek and English as well as a Lenten word search and calendar of the weeks to follow the main themes towards Pascha. Kids will be engaged to color, cut and glue as they grow in their faith. 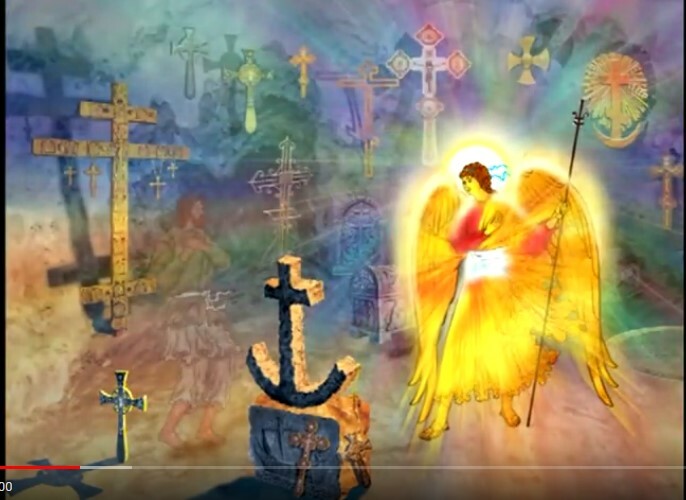 These files are also recommended for our Orthodox Kids Journal Project located here.